Batting Average: Tyler Meyer (Big Valley Christian) .589, Alex Villa (Stone Ridge Christian) .588, Michael Medinas (Mariposa) .550, Treven Crowley (Hilmar) .543, Dillon Johnson (Modesto Christian) .514, Cole Gilbert (Escalon) .510, Tyler Soderstrom (Turlock) .500, Jerremy Allgeyer (Argonaut) .500, Cole Carrigg (Turlock) .488, Gus Gedney (Amador) .480. 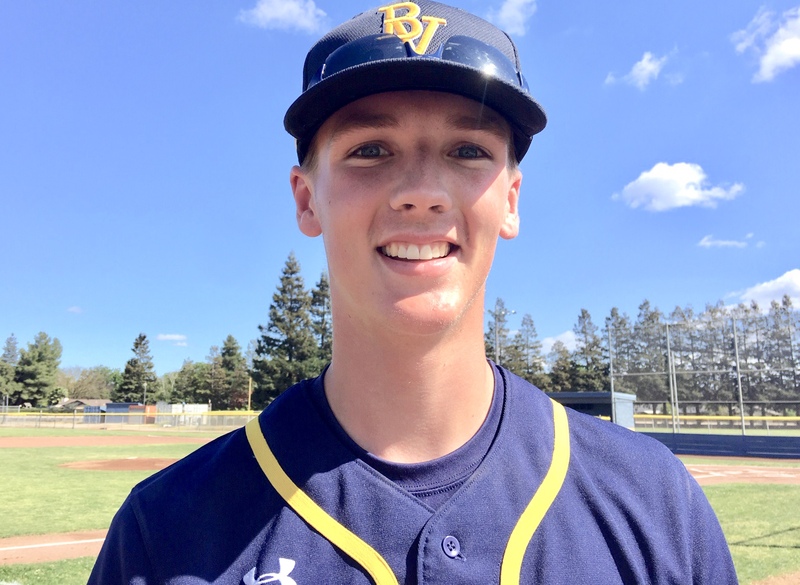 Hits: Tyler Meyer (Big Valley Christian) 33, Cole Gilbert (Escalon) 26, Jeremiah Langan (Hughson) 23, Austin Cappas (Weston Ranch) 23, Declan VanVuren (Ripon Christian) 23, Alex Gouveia (Manteca) 23, Thommy Brown ((Big Valley Christian) 22, Lucca Dutra (Escalon) 22, Liam Jones (Turlock Chrstian) 22, Michael Medinas (mariposa) 22, Nathaniel Silva (Atwater) 21, Jacob Dominguez (Orestimba) 21,Cole Carrigg (Turlock) 21, Mason King (Turlock) 21, Noah Lingley (Ripon Christian) 20, Bring Alavezos (Big Valley Christian) 20, Brock DeWitt (Ceres) 20, Zach White (East Union ) 20, Brian Haslam (Hughson) 20, Will York (Turlock Christian) 20. Home Runs: Cesar Avila (Livingston) 6, Noah Lingley (Ripon Christian) 3, Cole Gilbert (Esclalon) 3, Michael Medinas 3, Wyatt Elmore (Argonaut) 3, Jacob Watson (Amador) 3, Brady Cardozo (Beyer) 3, Alex Villa (Stone Ridge Christian) 3. Runs Batted In: Nolan Lingley (Ripon Christian) 26, Declan VanVuren (Ripon Christian) 24, Tyler Meyer (Big Valley Christian) 22, Brian Haslam (Hughson) 21, Cole Gilbert (20), Michael Medinas (Mariposa) 20, Alex Gouveia (Manteca) 18, Lucca Dutra (Escalon) 18, Thommy Brown (Big Valley Christian) 17, Julien Natividad-Lopez (El Capitan) 17, Gus Gedney (Amador) 17, Dale Fisher (Ripon Christian) 16, Amier Bowen (Weston Ranch)d 16, Jacob Watson (Amador) 16. 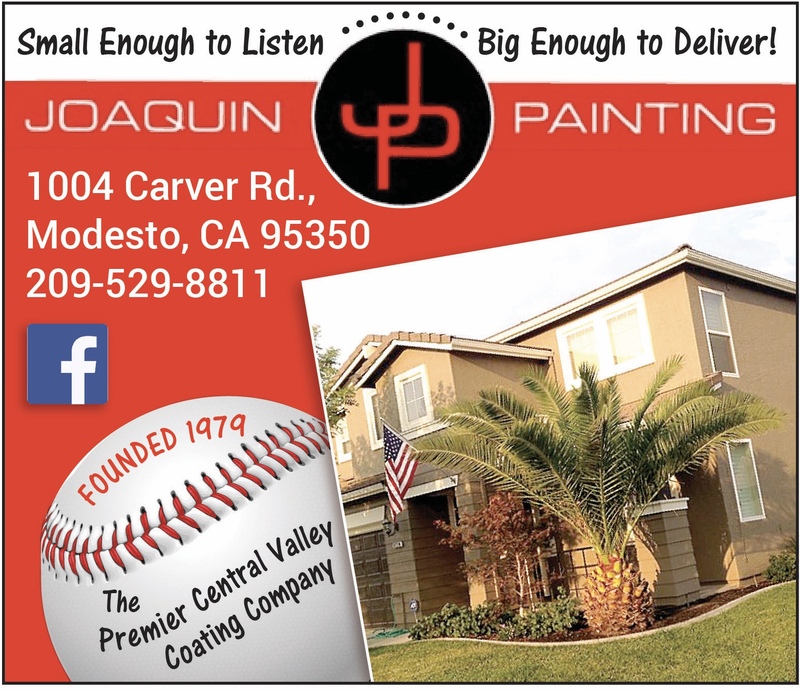 Stolen Bases: Jacob Dominguez (Orestimba) 27, Michael Vivo (Waterford) 19, Declan VanVuren (Ripon Christian) 16, Clayton Moore (Calaveras) 14, Amier Bowen (Weston Ranch) 13, Caleb Terpsma (Ripon Christian13, Jacob Weiss (Atwater) 12, Derek Avila (Hughson) 12, Cameron Ceja (East Union) 12, Andres De Leon (Mountain House) 12, Nolan Lingley (Ripon Christian) 12. 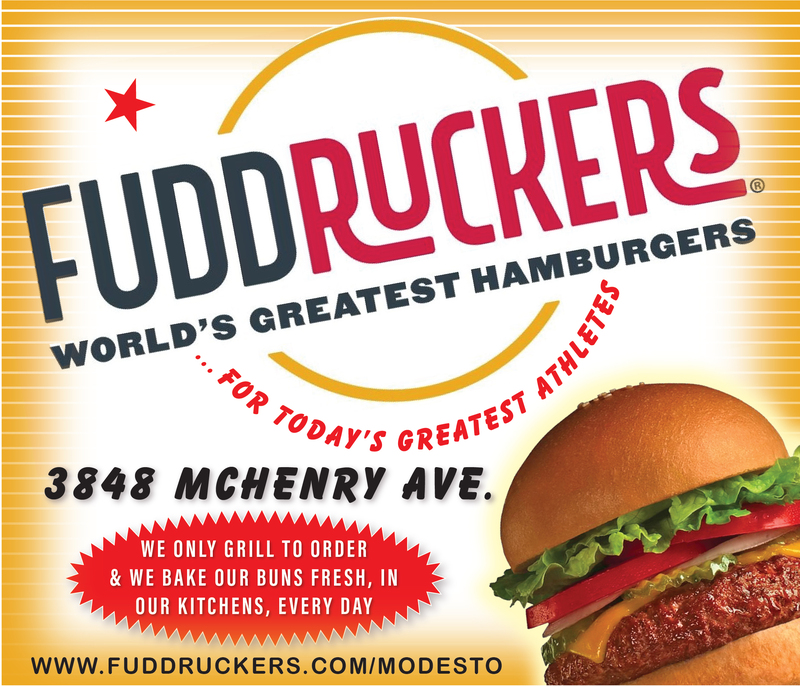 Earned Run Average: Michael Medinas (Mariposa) 0.00, Casey Carr (Turlock) 0.00, Jake Frisk (Sierra) 0.00, Seth Tomczak (Argonaut) 0.00, Julian Espinoza (TurlockChristian) 0.00, Atnonio Cortez (Buhach Colony) 0.45, Leo Kari (Mariposa) 0.48, Wyatt Elmore (Argonaut) 0.61, Max Montgomery (Enochs) 0.64, Seth Garza (Hughson) 0.76, Will Gilbert (Ripon Christian) 0.76, Jacob Watson (Amador) 0.78, Tyler Matyshock (Sonora) 0.91Nathaniel Silva (Atwater) 0.97. Wins: Leo Kari (Mariposa) 6, Seth Garza (Hughson) 5, Antonio Cortez (Buhach Colony) 4, Nathaniel Silva (Atwater) 4, Slyder Blyth (Sierra) 4, Michael Vivo (Waterford) 4, Eliot Kee (Hughson) 4, Jason Silva (*Sierra) 4, Tyler Meyer (Big Valley Christian) 4, Alex Kendrick (Buhach Colony) 4, Loghan Luker (Gustine) 4, Devon Del Toro (Livingston) 4, JacobDominguez (Orestimba) 4. 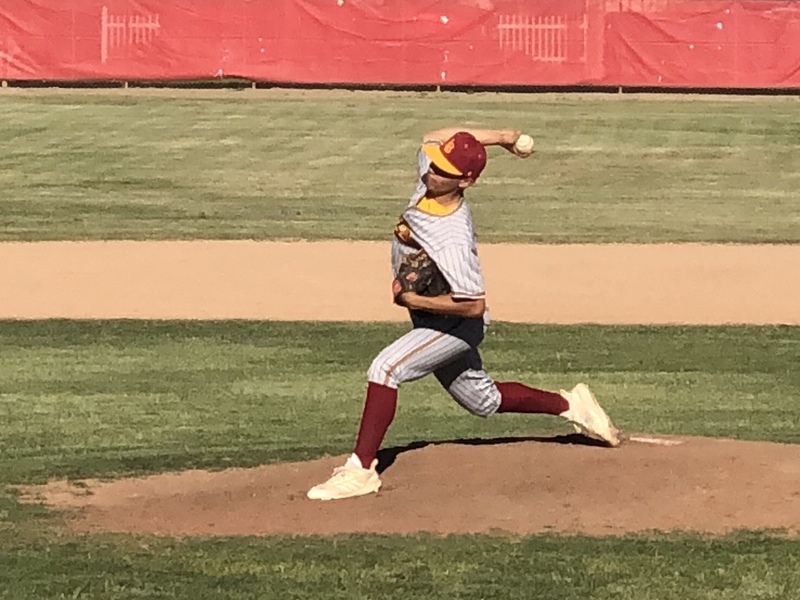 Strikeouts: Tyler Meyer (Big Valley Christian) 70, Leo Kari (Mariposa) 55, Andres De Leon (Mountain House) 54, Tyler Mattershock (Sonora) 52, Thommy Brown (Big Valley Christian) 50, Ridge Holguin (Linden) 47, Alex Kendrick (Buhach Colony) 45, Austin Cappas (Weston Ranch) 44, Gerald Nix (Ripon) 44, Antonion Cortez (Buhach Colony) 44.